Gamers patiently waiting for the launch of the new NVIDIA ShadowPlay software which was first unveiled towards the end of last month, will be pleased to learn that NVIDIA is looking to launch their new game recording software on June 25th. NVIDIA ShadowPlay has been developed by NVIDIA to enable gamers to have an always on screen recorder making sure they never miss out on those awesome combos and kills for bragging rights. NVIDIA ShadowPlay has been designed to function in the background and uses the H.264 encoder built into every Kepler GPU crested by NVIDIA to auto-record your last 20 minutes of gameplay. 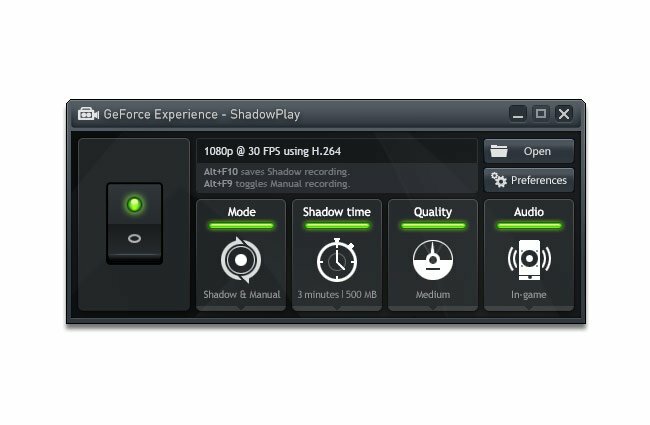 There are already systems to record your gameplay such as FRAPS, but NVIDIA has designed their new Shadowplay system to create smaller file sizes once recording. For example: a 1 minute and 9 second clip at 30fps / 1080p of Borderlands 2 creates a 3.6GB file with FRAPS. However with ShadowPlay the same file is just 238MB in size.